SPACE 'Planet Livestock' is globally recognized as a key event by everyone and anyone in livestock farming, due to its location at the heart of a large farming area in Europe, its professional status and its international scale. 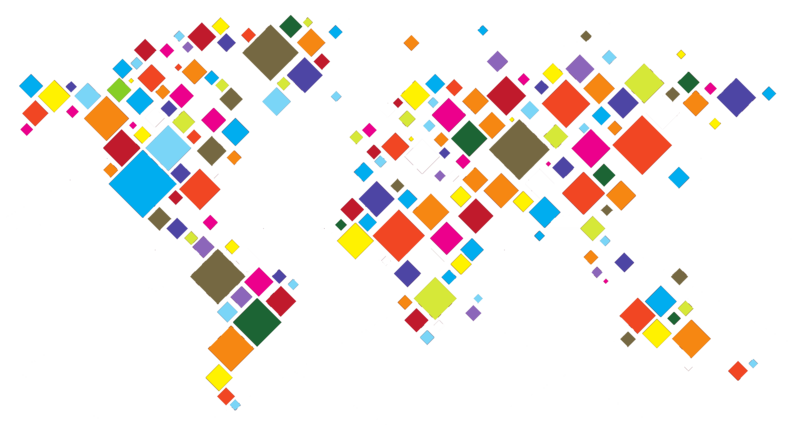 The growing of the international exhibitors and visitorship, coming from more than 100 countries, gives SPACE a strong international reputation. During SPACE 2018, almost 500 exhibitors were international coming from 42 different countries. 2/3 of exhibitors reported having an international activity of planning to develop one. This reflects SPACE's ability to attract livestock professionals from all around the world. 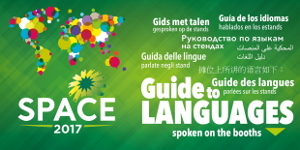 More than 14 000 international visitors from 121 countries attended SPACE 2018. 63% of them discovered for the first time the exhibition in 2018. The INTERNATIONAL CLUB is at your diposal to optimize your export activity. The export development agencies are at your disposal at the International Club (Bretagne Commerce International, Business France, Entreprise Europe Ouest). This document enables international visitors to identify which languages are spoken on the different booths.